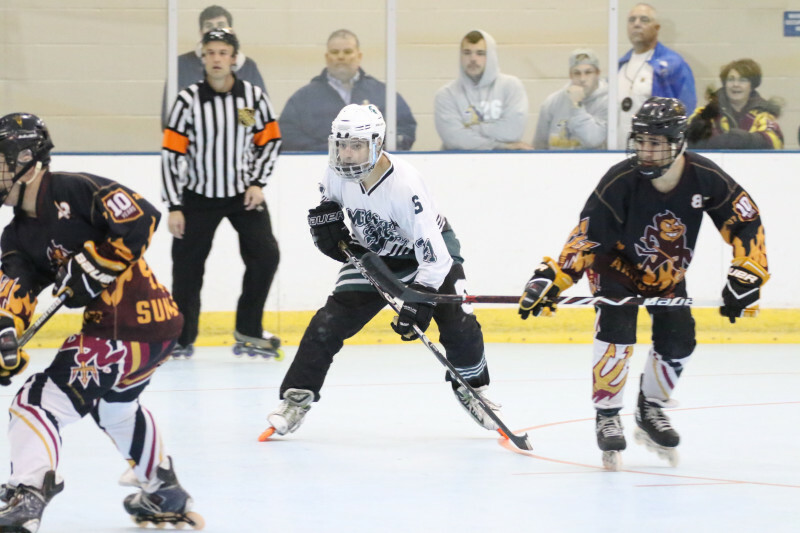 The Midwest Collegiate Roller Hockey League finally returns to action this weekend for the first time since November. The MCRHL will be hosting an inter-regional event at Hat Trick Hockey in Palatine, Illinois. MSU D-1 (6-2) will welcome much of their outside competition they expect to see at the National Championships in Rochester, New York. They open up the weekend at 8:00 a.m. on Saturday against Florida Gulf Coast (2-2). Then they face off against Bethel (7-1-2) at 4:00 p.m. Saturday. In their third game of the day, MSU welcomes Arizona State (4-3) from the West Coast at 9:00 p.m. Then in their fourth and final game of the weekend, MSU will have their hands full with the runner-up of last year’s National Championship game, Lindenwood (10-0). The Spartans look to further improve on their impressive plus-25 goal differential against stiff competition this weekend. On the Division 2 side of things, Western Michigan (4-4) and Grand Valley (7-1) will be the only teams attending. WMU will be looking for revenge on GVSU from earlier in the season when the Lakers won 13-1. The two teams face off at 5:00 p.m. on Saturday. Both teams will also be challenged by DePaul (1-5) and Michigan Tech (0-6) from Division 3 over the weekend. GVSU currently has a six point lead over WMU in the Division 2 standings. The aforementioned DePaul and Michigan Tech currently hold third and fourth place in the Division 3 standings with DePaul clinging on to a two point lead over Michigan Tech. They will battle each other at 6:00 p.m. on Saturday. Some fantastic Division 4 competition is expected as four quality teams will be in attendance. MSU D-4 (6-1) opens up with the first game of the weekend at 7:00 a.m. on Saturday against Florida Gulf Coast D-4 (2-2). They also have two highly-anticipated matchups with the reigning Division 3 National Champions, Lindenwood Gold (7-3). Those will take place at 1:00 p.m. Saturday and 10:00 a.m. Sunday.